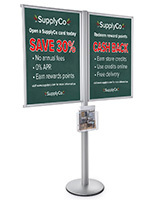 This red retractable belt queue pole is constructed from stainless steel, making for a sturdy barrier that guides checkout lines and ropes off displays and restricted areas. 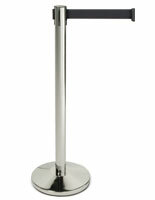 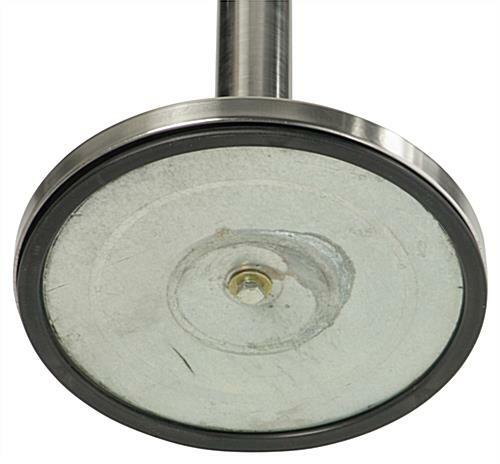 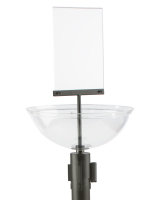 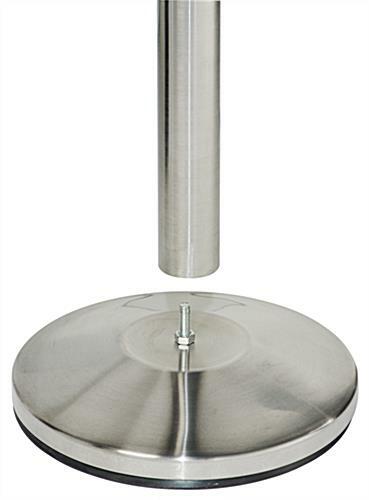 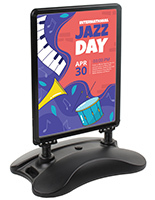 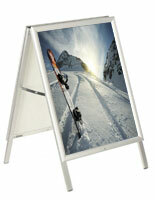 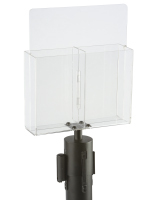 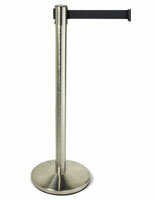 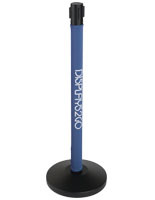 A weighted base with a rubberized edge helps to keep each stanchion firmly upright. 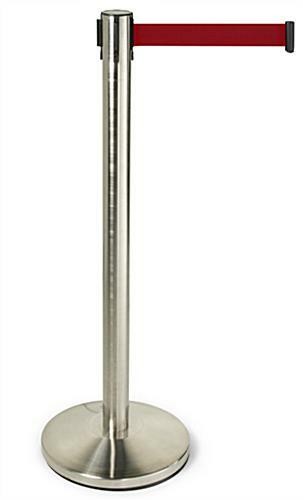 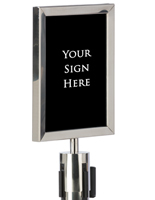 This brushed silver retractable belt queue pole comes with a four-way adaptor that allows for multiple line configurations to fit your specific crowd control needs. 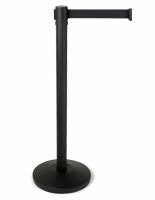 Simply slide the plastic end of the bright red band onto one of the receivers at the top of the stanchion and extend it up to 6.5 feet. 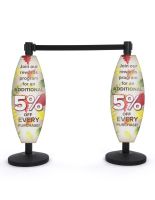 A functional barrier can be constructed quickly when you’re in a rush, as each post screws to its base in a single step without any tools required. 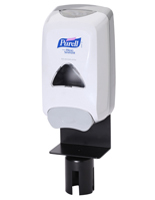 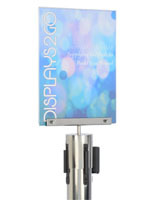 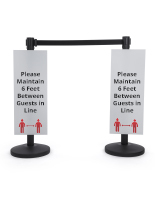 Set up this belt queue pole in your store, gallery, or event space for a highly visible crowd control system.